Tom Bloom designs for theatre, opera, and ballet. 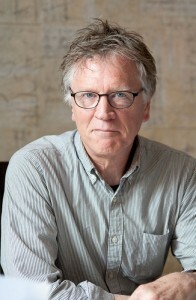 His credits include Resident Scenic Designer for the Heritage Repertory Theatre, scenic designer for the University of Michigan School of Music, Michigan Shakespeare Festival, Ballet Michigan/South Carolina Ballet, Opera Grand Rapids, Hope Summer Repertory Theatre, and the Occidental Drama Festival in Los Angeles. His designs have been exhibited in Michigan and Indiana. He authored a book entitled Kenneth Macgowan and the Aesthetic Paradigm for the New Stagecraft. Prior coming to Virginia, Tom taught at the University of Michigan-Flint and Occidental College, Los Angeles. He is a recipient of the State of Michigan Association of Governing Boards distinguished teaching award and is a Fellow of the Teaching and Technology Initiative at the University of Virginia.